Worshiped as a god since the dawn of civilization, the immortal Apocalypse (Oscar Isaac) becomes the first and most powerful mutant. Awakening after thousands of years, he recruits the disheartened Magneto (Michael Fassbender) and other mutants to create a new world order. 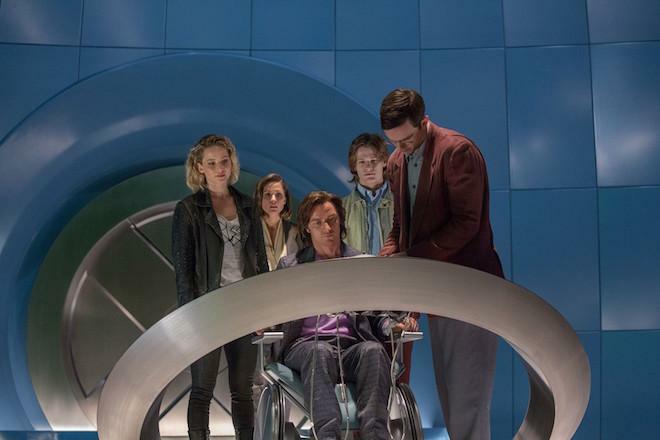 As the fate of the Earth hangs in the balance, Professor X (James McAvoy) and Raven (Jennifer Lawrence) lead a team of young X-Men to stop their seemingly invincible nemesis from destroying mankind. And we are back with yet another ‘X-MEN‘ movie, making this the 9th film in the franchise, that is if you count the ‘Wolverine’ movies and what not. If you’re just counting purely ‘X-MEN‘ films, than this is number six with it being number 4 from director Bryan Singer, who started this whole comic book movie craze sixteen years ago with the first ‘X-Men‘ film. From there, we have seen the Marvel and DC Universes take off into a multi-billion dollar industry. It’s quite mind boggling, and this new film ‘X-Men: Apocalypse‘ seems to take everything we’ve seen since Matthew Vaughn’s ‘First Class’ and sculpt it into this one film. I can’t imagine if this film came out in 2000 instead of the ‘X-Men‘ we saw back then. I probably would almost have preferred that, but still, ‘Apocalypse‘ is an excellent film and is my favorite ‘X-Men’ movie to date, running alongside ‘X2‘. At the very end of ‘Days of Future Past‘, we were teased with the coming of ‘Apocalypse‘ and THE apocalypse, and that’s where this film starts out, way back in 3600 BCE to a time that resembles something from dunes of ‘Stargate‘ where a mutant named Apocalypse (Oscar Isaac) is gaining super powers to destroy the world and then rule it. This doesn’t take place, because his efforts are thwarted and he is trapped under a giant crumbled pyramid until the year 1983, where Professor Xavier (James McAvoy) is leading the teaching faculty at his school for the gifted alongside Hank McCoy/The Beast (Nicholas Hoult). Through a series of vignettes, we see what’s been going on with some of the more popular mutants. Since this is 1983, we see the arrival of a very young Cyclops (Tye Sheridan), who is learning to use his eye beams, what Mystique (Jennifer Lawrence) has been doing, which is recruiting other mutants, mainly Nightcrawler (Kodi Smit-McPhee), and of course Magneto (Michael Fassbender), which is one of the cooler aspects of the film. We get to see Magneto living as a human with a family, and not wanting to be a part of the violence or mutant movement. It’s endearing and heartbreaking all at the same time. Even though Apocalypse is supposed to have all the powers, he still needs his army of 4 horseman, and thus the battle to save the world ensues with the young mutants and the experienced ones, coming together to battle. This is where Jean Grey (Sophie Turner) comes into the spotlight as does Quicksilver (Evan Peters), as their storylines serve as a bigger arc to this story than previously thought. Basically, this is where they take full control of their powers and set out to become who they’re meant to be, and it’s quite spectacular to see on screen. There are quite a few mutants during this 148 minute extravaganza, but Bryan Singer gives each one enough time to shine, along with one glorious cameo that is all too great. There is some really funny humor mixed in as well that provides a wink to the older films, as well as some genuine charm and wit. I laughed out loud a few times. 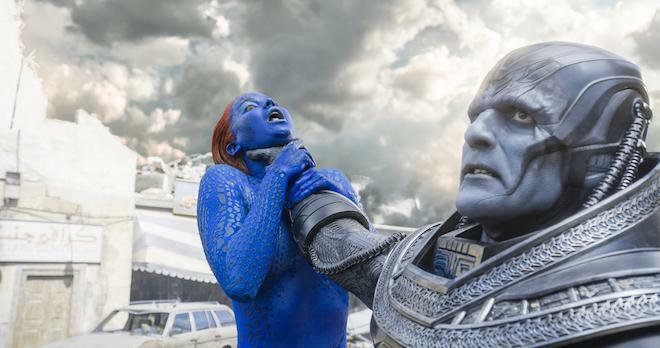 In addition to that, this X-Men film is quite brutal. I almost thought the film was Rated R, due to the ferocious violence throughout, and when I say ferocious, that’s exactly what I mean, complete with blood, decapitations, throats slit, and more. One of the things that is unfortunate so far with a lot of the ‘X-Men‘ films is that it always seems to be the same type of scenario, where a mutant is trying to kill off everyone and everything, with the ‘X-Men’ out to stop them. The case is no different here and seems redundant since we’ve seen it so many times before. It’s a small gripe in a large world of so much good. Everyone of course turns in excellent performances with the spotlight on Michael Fassbender, Tye Sheridan, and an unrecognizable Oscar Isaac. The emotion Fassbender throws into the role is amazing, especially when he heads back to Auschwitz. 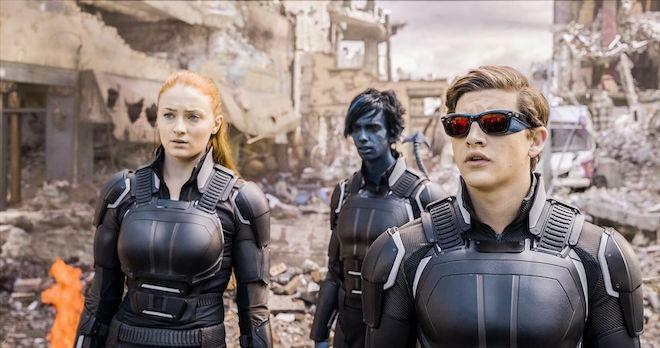 ‘X-Men: Apocalypse‘ certainly gets a ton of stuff right here, even if it’s an adaptation of the original work. There are a couple of small gripes, but overall, this film is a MUST-SEE for any X-Men fan. I can’t wait to see it again. Plus, this might be the best use of ‘Sweet Dreams’ I’ve ever seen with Quicksilver front and center. 'X-Men: Apocalypse' in 4K UHD comes with a 4K Disc and a Standard 50GB Blu-ray disc, plus the digital download insert from 20th Century Fox. The discs are housed in a hard, black, plastic case with a cardboard sleeve. 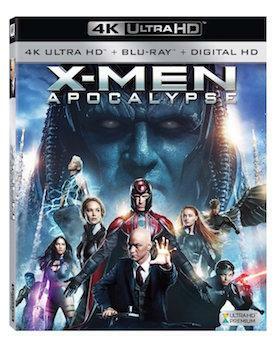 20th Century Fox stops the apocalypse with the 4K UHD release of 'X-Men: Apocalypse', which has a HEVC H.265 encode in HDR10 with a 2.40:1 aspect ratio. This release has a digital download code as well as the standard Blu-ray version, in addition to the 4K disc. There is no 3D option here. The image is simply phenomenal in 2160p with every small detail popping right off screen. Individual grains of sand can be seen in the opening sequence as the camera pans and moves along and the old Egyptian walls and wooden panels stand out nicely inside the mansion with every imperfection standing out. Practical makeup effects on each mutant look incredible as every skin pore and individual hair stand out nicely. The superhero outfits show the many different patterns available in both lower lit and bright conditions. Colors look magnificent as well here. All of the different shades of purples and blues on Apocalypse's skin showcase nicely and as he moves through the varying lighting elements, you'll be able to see the many different colors he emits. The fire and explosions are bright and bold with different shades of red, orange, and yellow that simply pop off screen. Just look at the slow motion scenes with Quicksilver in the mansion on how the fire explosions change in color in the different lighting scenarios as well as all the detailed embers and sparks scatter about. It looks quite impressive. Some of the heavier CG sequences look a bit fake in this 4K UHD presentation, but that's expected, since the video quality and resolution are at an all-time high here. Needless to say, this has a very wide presentation of colors throughout. Black levels are very deep and inky with no evidence of crush and skin tones are natural looking at all times. There were no issues with any banding, aliasing, or any other video noise that I noticed, giving this video presentation excellent marks. This might even be demo-worthy. This UHD release of 'X-Men: Apocalypse' has an English: Dolby Atmos track, where I used a 7.1.2 Atmos speaker setup with the normal 7.1 surround and two overhead speakers, plus a subwoofer powering this sci-fi soundscape. The standard Blu-ray version has a DTS-HD 7.1 MA mix. This audio presentation is everything you want in a superhero action film. With the Dolby Atmos setup, you get even more from the low and high ends, not to mention the overhead speakers to fully immerse you in in this apocalyptic scenario. When the plane flies overhead, the bass kicks in and it seems like there are planes flying right over your viewing room. The explosions in the mansion as well as the take-down of the giant pyramid sounds incredible and makes you feel like you'r right in the center of all the destruction. The global destruction by Apocalypse puts the bass into high gear without going into rocky territory, but will rattle the walls and your bones for sure. All of the debris and land chunks can be heard flying overhead and all around with excellent directionality. The score and music always adds to the suspense of each moment and never drowns out any of the other audio elements. The dialogue is always crystal clear and easy to follow and free of any pops, cracks, hiss, or shrills. This is a perfect audio experience and fully immersive for sure. Only the commentary track is included on the 4K UHD Disc, where the other bonus features, including the audio commentary is on the standard Blu-ray Disc. Audio Commentary - Here is a commentary track with director Bryan Singer and writer-producer Simon Kinberg as they both discuss making the film and furthering the story and characters in this universe. They discuss in detail making certain scenes, the themes and tone of the film, casting the actors new actors, and some fun anecdotes and trivia from the set. This is very good commentary and worth listening to. 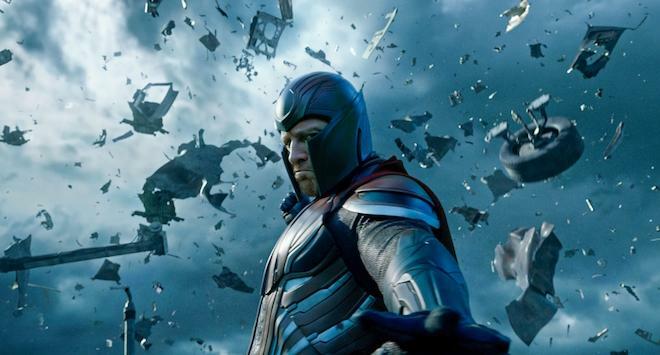 This 'X-Men: Apocalypse' 4K UHD set is quite impressive. 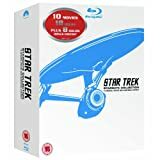 Not only do you get the 4K version, but you also get the standard Blu-ray Disc with all of the bonus features as well as a digital download code. The film itself is a lot of fun and very well-made on almost every level. This is a great addition to the Marvel universe when the X-Men are concerned where each villain and superhero receives their moment to shine. Excellent acting and action sequences are rampant throughout the film. The video and audio presentations are incredible and demo worthy too. Extras are very good, however, the audio commentary is only on the 4K Disc where the rest are on the standard Blu-ray Disc. This comes highly recommended!